Have they discovered Google yet at the Vatican? I got an e-mail today from catholic-hierarchy.org, that helpful web site that tracks the appointments, transfers, and retirements of bishops, using the announcements from the Holy See as their data source. The news is that a coadjutor bishop has been appointed for the see of San Diego. That should be good news. A 2011 book by four pro-Medjugorje journalists accused the late Bishop Pavao Zanic of collaborating with the Communists in Yugoslavia against the claimed apparition: an outrageous charge. The current bishop reviews the accusation and points out that Zanic’s position on the case was consistently the exact opposite of the Communists’ position. When he was favorable, they were against; when he was against, they were favorable! So they weren’t very good at getting him to collaborate, hm? Tsk, tsk, these Communists were so incompetent! arrived at my mailbox yesterday. This is the seventh edition of Rev. 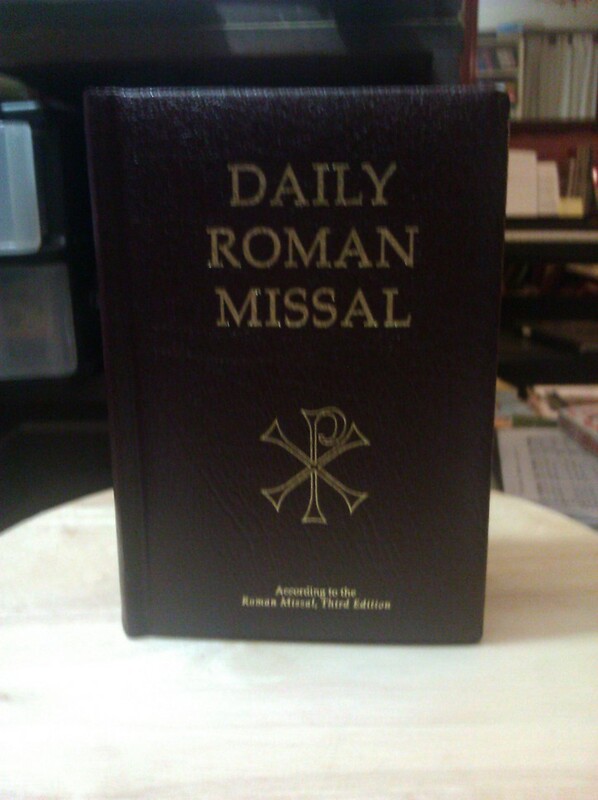 James Socias’ hand missal which first appeared in 1993. It was issued by Midwest Theological Forum, the Opus Dei-related publishing house near Chicago, where Fr. Socias is vice president, and the book also bears the insignia of Our Sunday Visitor Press.